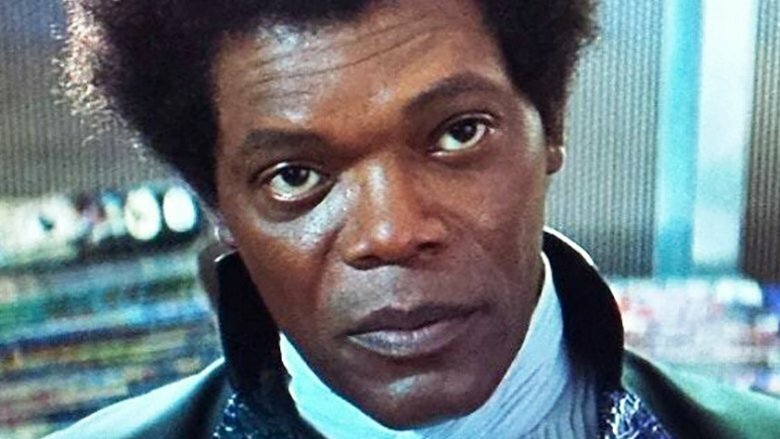 Samuel L. Jackson's work on M. Night Shyamalan's Glass is done and dusted. Shyamalan made the bittersweet announcement Saturday on his Twitter page, writing that the film doesn't have much more to shoot and that it was extremely difficult to say goodbye to Jackson once he wrapped his final scene. "One week left of shooting Glass, the director wrote. "Yesterday was Samuel L. Jackson's last shot. Had to fight back tears. These are more than movies to me." News of Jackson's commencement on Glass comes just a few weeks after fans got a glimpse of the actor in character as the titular Mr. Glass, also known as Elijah Price. Glass serves as a sequel to both Shyamalan's off-kilter superhero origin story Unbreakable, which was released in 2000, and his psychological horror-thriller flick Split, which was a surprise hit amongst critics when it debuted earlier this year through Universal. In Unbreakable, a hard-working man named David Dunn (Bruce Willis) meets Elijah Price after surviving a train accident, and soon discovers how and why he escaped the would-have-been-deadly tragedy without a scratch on him. Split centers around Kevin Wendell Crumb (James McAvoy), a man who suffers from dissociative identity disorder (DID) that plagues him with 23 distinct personalities, some of which are extremely dangerous. Each time one of Kevin's personalities rises to the surface, his body chemistry is altered, setting off his 24th personality called "The Beast." One young woman, Casey Cooke (Anya Taylor-Joy), gets caught in the crosshairs of Kevin's disorder, becoming his captive and a potential victim of the Beast. The main cast members from both Unbreakable and Split return for Glass. Joining Jackson as Elijah/Mr. Glass are Willis as David, McAvoy as Kevin, and Taylor-Joy as Casey. American Horror Story alum Sarah Paulson also stars. Universal Pictures will distribute Glass domestically, with Disney's Buena Vista International handling global distribution. Shyamalan and Jason Blum Blumhouse Productions are attached to produce the film alongside Ashwin Rajan and Marc Bienstock. Not a whole lot is known about Glass, though producer Blum once described it a "very different" kind of superhero movie. "It's a kind of superhero movie, for sure. I do consider it that, yeah. It's very different. I would say it's not a Marvel movie, but a superhero movie," Blum told Collider. Fans can see just how unique a superhero film Glass will be when it arrives in theaters on January 18, 2019.